KAUST recently signed an agreement with Elm, a joint-stock company and a leading digital solutions company in Saudi Arabia owned by the Public Investment Fund (PIF), to collaborate in research and development on joint educational programs and events. The agreement formalized a long history of collaborative partnerships between the two organizations and was signed on campus by Elm Vice President of Research and Innovation Eng. Amer bin Hashim Al-Qahtani and Dr. Kevin Cullen, vice president of KAUST Innovation and Economic Development. In 2018, both organizations partnered to deliver two hackathons at KAUST focused on energy and smart city solutions. Elm also sponsored KAUST students to attend Europe’s largest hackathon Junction 2018 in November 2018. “The exchange of knowledge with industry is an important focus for KAUST, as economic development is a key part of the University’s mission. This cooperation agreement will present new and exciting opportunities for entrepreneurial training as well as the development of applied and specialist scientific skills that will play a crucial part in creating Saudi Arabia’s knowledge economy, contributing to Vision 2030,” stated Cullen. “Scientific activities such as technical courses and boot camps will provide increased opportunities for education and employment and also give access to the research expertise of KAUST’s world-leading faculty,” he added. Attracting industry to KAUST to collaborate on education and research, employ KAUST graduates and participate in bringing new technology to the Kingdom is an important area for the University. 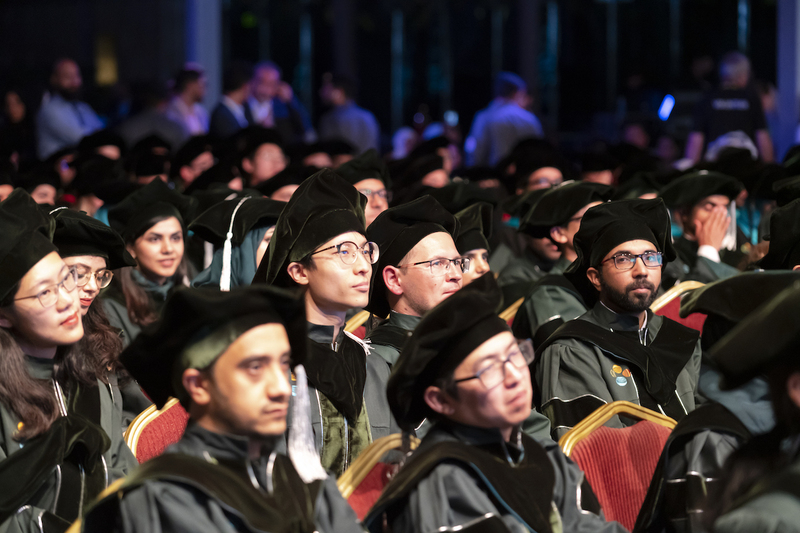 One of KAUST’s key focus areas is attracting industry to the University to collaborate on education and research, employ KAUST graduates and bring new technology to Saudi Arabia. Photo by Andrea Bachofen-Echt. The cooperation agreement supports Elm’s belief that knowledge is an essential element of economic and social development. Elm’s interest lies in specialized programs that are consistent with its responsibility towards society. Together, KAUST and Elm seek to support the youth of Saudi Arabia and cultivate innovative minds to accelerate the development of a knowledge-based economy in step with today’s digital world. This entry was posted in Industry collaboration and tagged elm, KAUST, press release, Research. Bookmark the permalink.